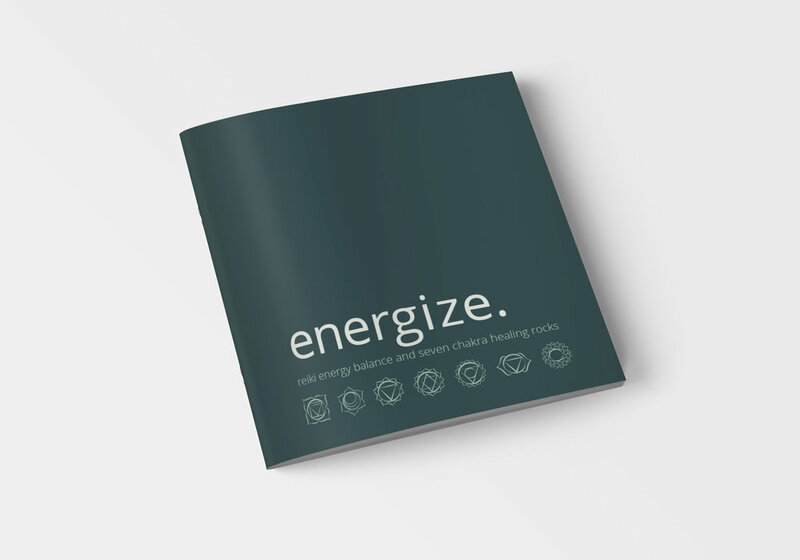 Energize is a product that is used to find balance and harmony in ones life. 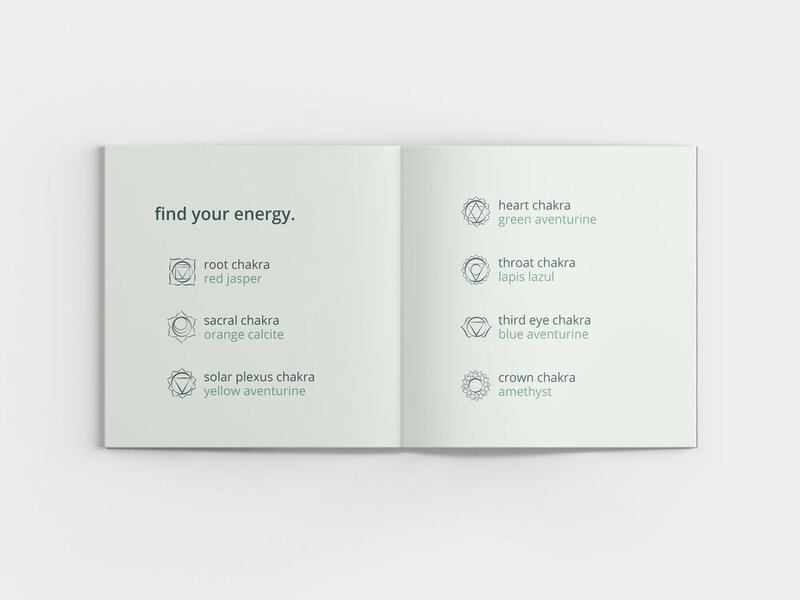 The package includes seven chakra healing rocks and a booklet with information on reiki energy balance and about the rocks. Reiki is a healing technique focused on channeling energy through the body to activate the natural healing process and restore physical and emotional well-being. The seven chakras are access points to the human energy system along the spine. By using chakra rocks with reiki, you can bring energy back into balance to help you feel whole, content, vitalized, and healthy. The booklet contains the symbol, color, luster, rock type, healing properties, and instructions on how to use each rock. In this design, I wanted to create a simple and clean design to maintain the idea of becoming balanced. I also chose a natural green color palette to reflect the balance in nature, where these rocks come from.